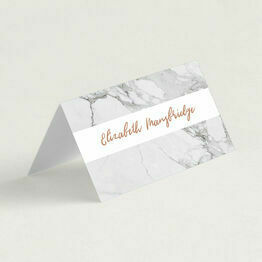 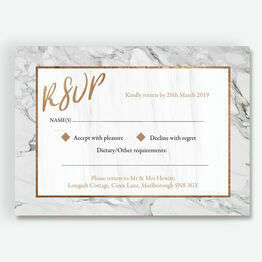 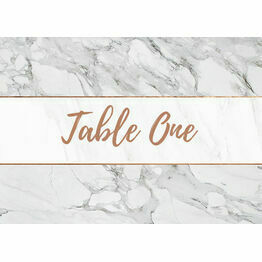 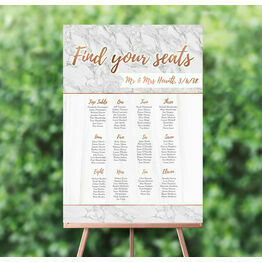 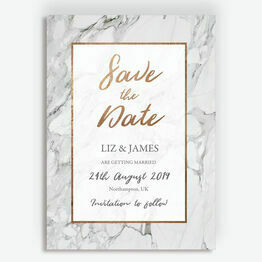 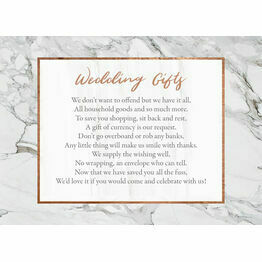 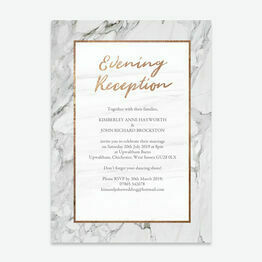 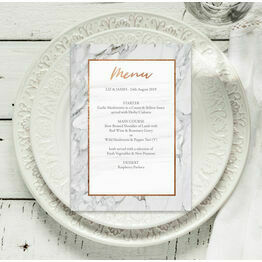 Our range of marble wedding stationery fits beautifully into our modern collection, but is equally at home being used to style a classic wedding. 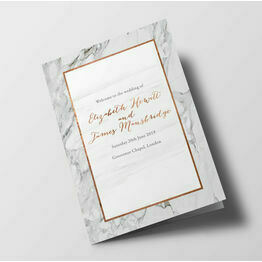 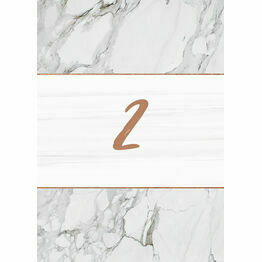 The background is a beautiful silvery-grey marble, with copper detailing adding a lovely contrast. 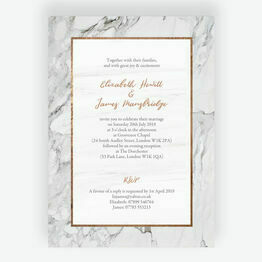 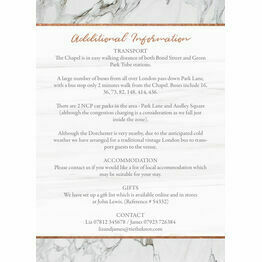 Sleek, simple and stunning, the marble collection can be personalised online with a live preview as you type.